The long cold months of winter are upon us. As homeowners there are a few quick and easy steps that you can take to ensure that your winter passes without any glitches. It’s no fun suffering through the cold weather in your own home. Luckily, Haly Oil is open 24 hours a day, 7 days a week in case you do have an emergency, but here are a few tips to lower your heating costs, and to ensure that you don’t freeze this winter. Use your blinds. On sunny days, it’s a good idea to take advantage of the warm rays, but when the sun sets remember to shut your blinds. This reduces the amount of heat that you’ll be losing through your windows! Close off your fireplace. Your fireplace can be a great source of heat, although while not in use, cold air can escape very quickly. 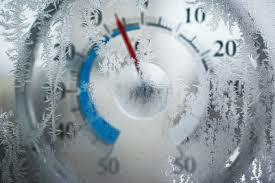 Make sure to close your flue and to install glass doors, preventing cold air from sneaking in. Make a “draft snake”. According to the US Department of Energy, drafts waste between five and 30 percent of your energy use. If you notice cold air flowing in under doors or windows, roll up a thick towel or find an area rug that you can use to place in front of the gap. You can even make your draft snakes chic by stuffing old ties or by sewing together a few scraps of fabric. Use a humidifier. Air that contains moisture is warmer than dry air. During winter with the increased use of your heater can dry out the air in your home. By using a humidifier you will be adding needed moisture back into your home environment. This can mean a world of difference for your overall comfort level. Replace your windows. This option is definitely the most expensive way to keep the heat in your home, but it gradually saves money over time. Energy saving windows are an investment that have small returns for many years. Even just adding storm windows or storm doors for the cold months are worth the money. Maintain your hardware. Just like your car, your heating system needs routine check-ups. The best way to keep your heating costs low is to maintain your heating system. Keeping your furnace or oil tank healthy is the primary way you can make sure you will have no surprises this winter. Having an HVAC company, like Haly Oil & A/C Co routinely check your unit will save you expensive replacements in the future will ensure that your system is functioning at its best. These are just few of the tips that we recommend as a heating oil and HVAC company. We have 25 years of experience in the industry and our clients’ main concern is always how to save money with the rising cost of heat expenses. Try all of them, or try a few. The goal here is to reduce your heating costs and to keep your home warm. Follow us on Facebook and let us know anything you do to keep your home warm during winter!